CNN has announced a new initiative enabling viewers to post questions on topics surrounding this year's election, to be answered by candidates and their campaign officials. CNN's press release below. CNN Press Release: CNN iReport, the network’s global participatory news community, announced today the iReport Debate – the first fully user-generated debate series of the 2012 election cycle. Through the iReport platform anyone can participate by raising the political topics and policy questions that matter most to them, debating them with the community, and submitting their issues for response by campaigns, candidates, and other newsmakers. "We know CNN will cover the candidates and big political events like no other network can. But we also know they're only part of the story,” said Lila King, participation director for CNN Digital. “The iReport Debate is meant to draw out the voices of the voters and make sure that they are reflected in the way CNN covers the election." 1) Name your issue: From now until May 4, voters can nominate the election issue that matters most to them by uploading video or text iReports. CNN will then identify their top 20 issues and allow users to rank them by importance. 2) Talk it out: Once the community selects their most pressing issues, iReporters will be invited to go head-to-head and debate those topics throughout the summer. 3) Make them listen: Leading up to the general elections, CNN will invite the presidential campaigns to participate in an iReport Interview, where community members will have the opportunity to ask questions about the top issues raised throughout the debate process. For more information or to participate in the iReport Debate, visit http://CNNiReport.com/debate. CNN today launched a brand new international homepage for CNNMoney.com. CNN's press release below. CNNMoney launches an international homepage today with personalized content and global indexes for audiences outside of the United States. 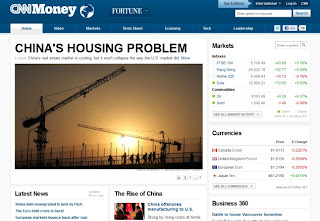 The international homepage launches alongside a new in-depth special report called, "The Rise of China," which will look at China's economy, the opportunities and risks of investing in China and the tension between U.S. and Chinese companies. "Our growing audience around the world demands more high-velocity news and real-time analysis of interdependent markets and economies and global brands," says executive editor Chris Peacock. "By investing in more reporters around the world, we will be giving our readers more of what they want when they want it." CNNMoney already generates 13% of its traffic from outside North America and the international homepage will serve as a gateway to CNNMoney's overall site, which offers technology, markets, economy, leadership and video content. CNNMoney is also expanding its editorial team with new positions in Asia and Europe, including a new international editor, senior editor, as well as additional reporters. As part of this expansion, CNNMoney's international homepage will connect with CNN International's business coverage, including the CNNi 360 blog, Quest Means Business, Global Exchange and World Business Today at www.cnn.com/business. The new international homepage will help CNNMoney build upon its solid base of international ad revenue by growing audience through more relevant content experiences. The combination of CNNMoney, CNN International and Fortune International sales efforts will enable CNNMoney to compete more aggressively for advertising dollars globally and regionally. 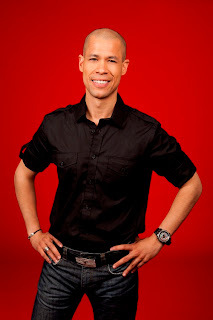 CNN today announced Vladimir Duthiers as its new correspondent in Nigeria. As we previously noted, Duthiers was first spotted from the region earlier this year when previous correspondent Christian Purefoy left the network. CNN's press release below. CNN Press Release: Vladimir Duthier is to take on the role of CNN international correspondent based in Lagos, Nigeria, the network announced today. Duthiers will join CNN’s contingent of Africa-based correspondents across the continent, as the network reaffirms its commitment to Nigeria. CNN currently has key bureaux in Lagos, Nairobi and Johannesburg – all headed up by bureau chief Kim Norgaard – as well as three weekly programmes on CNN International focused on the continent: Marketplace Africa, Inside Africa and African Voices. Duthiers joined CNN in 2009 as part of Christiane Amanpour's original news programme, Amanpour. He most recently served as an associate producer for Anderson Cooper 360°. When an earthquake shook Haiti in January 2010, Duthiers was among the first journalists to arrive in Port-au-Prince. He spent several weeks on the ground field producing for CNN – including the AC360° team – which went on to win two Emmy awards for its coverage of the quake. Earlier this year, Duthiers was on the scene as the Occupy Nigeria movement exploded onto the streets of Lagos. His reporting put the focus on the economic struggles of ordinary Nigerians and the tensions surrounding recent attacks by the Islamist terror group, Boko Haram. Duthiers, who is fluent in French and Haitian Creole, has taken an unusual route to a career in journalism. Prior to joining CNN, he spent nearly 20 years in the financial services industry, travelling extensively around the world for clientele in 21 countries. Duthiers holds a B.A. in Political Science from the University of Rhode Island and an M.S. from Columbia University’s Graduate School of Journalism. CNN International’s rejigged European prime time schedule kicked off on Monday with the return of Christiane Amanpour fronting her namesake program and the debut of Isha Sesay’s CNN NewsCenter. Hamid Karzai was Amanpour’s first guest. The Afghan President was also the first guest when Amanpour. first launched in 2009. Amanpour also managed to secure the first interview with new World Bank president Dr. Jim Yong Kim. Other guests appearing on the program this week include U.S. Ambassador to the U.N, Susan Rice and Israel’s Minister of Defense, Ehud Barak. Amanpour. airs live weekdays at 1900 GMT with several replays throughout the following day. A scoped aircheck of the first program is in the video below. ginnyfan: "Like everything so far, opening is like a white lighter version of WR/W1 style, much better. Also great they broadcast from newsroom." Axl0706: "Don't like the tacky music but everything else seems to be good! The white/black/red-color combination they are using is very pleasant. If they keep focussing on hard news every day, I think it will be a success." Newser: "… it's IDesk meeting CNN Newsroom which could be called 'CNN Isha is in the Center' and would be a great fit for an international version of HLN if it existed." excel99: " ... It's better than PMT in the slot, and it's better than Backstory full of filler. It is also only day 1. Things could change over time. But in terms of substance I was disappointed - that slot needs something like the 'original W1'. The news, in full, not with loads of analysis or features, but not just headlines. Short concise reports on all the issues of the day. If CNNi have forgotten, go and watch a 30 minute AJE bulletin ..."
Gman: "Like the show, like the concept but not the gimmicks. Is the whole walking into the newsroom thing at the beginning going to be used every episode or was it just for the premiere? Graphics and music so much better than WR (in my humble opinion...). I've always liked Isha as a host of pure news programs - it's much more her style ..."
A scoped aircheck of the debut edition is in the video below. This is our weekly round-up of the tidbits that didn't make it to a post of their own, but are worth noting, along with news items that we've covered that may need a second look. - CNN’s Anderson Cooper apologizes for segment on Polish holiday that upset local group. - Newt Gingrich: 'CNN is less biased than Fox'. - Q&A: A few minutes with Christiane Amanpour. - Judge in George Zimmerman case offers to recuse herself over husband’s ties to CNN analyst. - Zite's acquisition by CNN proves not all takeovers are bad. - Roger Ailes takes dig at Soledad O'Brien's name. - Poppy Harlow joins CNN New York bureau. CNN Domestic will once again re-air a series of boxing specials from sister network HBO. The four-part series - that will air first on HBO - will screen in the weeks leading to the HBO broadcast of the Floyd Mayweather / Miguel Cotto rumble on May 5. The first of the specials airs tonight at midnight on CNN Domestic. CNN's press release below. HBO’s Emmy-Award®-winning reality series ‘24/7’ is returning to CNN, which will air replays of the all-new four-part series 24/7 MAYWEATHER/COTTO, beginning Saturday, April 14 at midnight ET/PT. In the lead-up to the blockbuster HBO Pay-Per-View® telecast on May 5 in Las Vegas when Floyd Mayweather and Miguel Cotto battle for Cotto’s world super welterweight title, CNN will present all four episodes of 24/7 MAYWEATHER/COTTO, the all-access, behind-the-scenes pass that allows viewers to step into the lives of the fighters before they step into the ring. Mayweather lives and trains in Las Vegas, NV, while Puerto Rico’s Cotto will train in Florida. Episode one will air on CNN on Saturday, April 14 at midnight ET/PT, following the HBO premiere at 9:45 p.m. ET/PT. Episode two and three will air on CNN on subsequent Saturdays – April 21 (12 midnight ET/PT) and 28 (12 midnight ET/PT). The finale will air on CNN on Friday, May 4 at 12 midnight ET/PT, less than 24 hours before the match in Las Vegas. CNN International's World Sport unveiled a new look on Friday with revamped graphics and music. The relaunch of the program was announced last month when CNN announced the hiring of new sport anchor Amanda Davies. Check out a scoped aircheck of the first edition of the new World Sport below. CNN International's Back|Story aired its final daily show on Thursday. The program is moving to a weekly feature show from next weekend. The move, previously speculated on the forum, was confirmed on the program's Facebook page a few hours before the final airing of its current format. Starting next week, BackStory becomes a weekly program, airing several times from Saturday to Monday morning. Isha will still host the weekly show, in addition to her new daily program, CNN NewsCenter. That program will air daily at 1930 GMT and feature a different BackStory several times a week. We are sad to see the daily show go away, but we hope making the show into a weekly program will give us a chance to bring you only the very best of our style of reporting on the big stories of the week. I’ll still be producing the show, and I’m counting on our familiar faces like Arwa Damon, Nic Robertson, Dan Rivers and Sara Sidner to deliver some fantastic reports every week! And I’m counting on our fantastic loyal fans to let me know what they think! I won't be on the Facebook page as often as I am now, but I'll definitely check in when I can. Host Isha Sesay also made comment on the format change on Thursday's show. The next installment of the CNN Dialogues series will be held this coming Wednesday, April 18, at Atlanta’s Rialto Center. Tickets for the free event are available online here. Details from CNN below. In the years since Michael Harrington’s seminal work, The Other America (1962), perhaps no issue has proven more complex, destructive, and intractable than poverty in America. The social and economic inequities associated with enduring poverty have also been persistent for the City of Atlanta. Although Atlanta has been able to successfully foster bright spots of urban renewal, in 2009, Atlanta was forced to return $24 million in federal anti-poverty funds that it had failed to allocate to anti-poverty initiatives. The decades-long debate over the efforts to alleviate poverty will be the focus of “Today’s Other America: Poverty in America,” a CNN Dialogues event to be held at Georgia State University’s Rialto Center for the Arts (80 Forsythe Street, NW) on Wednesday, April 18 from 7:00pm to 8:30pm ET in Atlanta. CNNMoney anchor and business correspondent Poppy Harlow will moderate the forum. Harlow is based in New York and anchors much of CNNMoney’s video coverage of global business events, business news updates, and interviews compelling personalities from the world of finance. · Robert Woodson, president and founder of the Center for Neighborhood Enterprise, a faith-based, community revitalization organization. Admission for this program is free, but pre-registration is required for entrance to the event at Atlanta’s Rialto Center for the Arts. Tickets may be reserved by visiting www.cnndialogues.com, or by calling the James Weldon Johnson Institute for Race and Difference at 404.727.2515, or the National Center for Civil and Human Rights at 404.991.6988. CNN Dialogues represents a partnership between CNN, Emory University’s James Weldon Johnson Institute for the Study for Race and Difference and the National Center for Civil and Human Rights for a series of community discussions on major topics shaping our times, led by leading thinkers of the day. The planning committee for CNN Dialogues includes writer Pearl Cleage, Morehouse College President Robert Franklin, president and trustee of The Arthur M. Blank Family Foundation Penelope McPhee, vice president for communications and marketing for Emory University Ron Sauder, executive vice president and director of programming for Atlanta’s World Affairs Council Cedric Suzman, president and CEO of the Georgia Hispanic Chamber of Commerce Tisha Tallman, and Eric Tanenblatt of the Atlanta-based law firm of McKenna, Long, and Aldrich. While all the focus has been on Christiane Amanpour's return to CNN International next week, a new weekday news show to be fronted by Isha Sesay is also set to make its debut on Monday. Although not officially announced by CNN (at the time of this post) details of the new show have appeared in several online schedules including the CNN Asia Pacific website. The new program is scheduled for the timeslot marked for Isha Sesay in a press release for the return of Amanpour. back in February. CNN NewsCenter is the definitive destination for an intelligent, complete global picture of the day's news. Over the course of 30 minutes, we'll take you beyond the headlines and to the heart of every story, with the most compelling video and sound feeding in from around the world. But we'll also shine the spotlight on other stories, some of which are under the radar, but which we believe are just as important. In the CNN NewsCenter you'll hear from underrepresented voices, and from the people at the center of the story. And we'll only bring in our reporters and analysts when they can provide the very latest new information or can add a frontline perspective that is crucial to understanding the story. 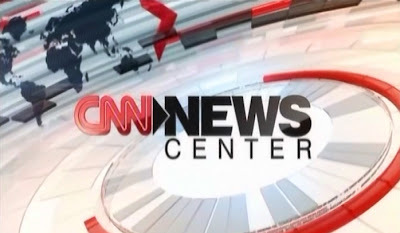 Smart, dynamic and passionate, CNN NewsCenter won't just keep you informed, we'll keep you on the edge of your seat. Back|Story, the program Isha Sesay currently hosts is expected to be rolled back to a weekend show when a rejigged prime time schedule for Europe is introduced next week. - CNN report of racial slur in Trayvon Martin case under scrutiny. - CNN honored with three Peabody Awards. - CNN anchor apologizes for reporter using n-word during news report. - CNN's Don Lemon: don't call me 'racist' for covering Trayvon Martin. 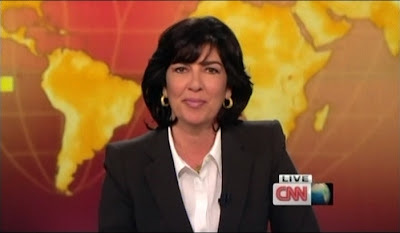 - Christiane Amanpour among "100 outstanding journalists in the United States in the last 100 Years". - Retired broadcaster King delights UTPA audience. - Ali Velshi talks Indian media industry during recent visit. 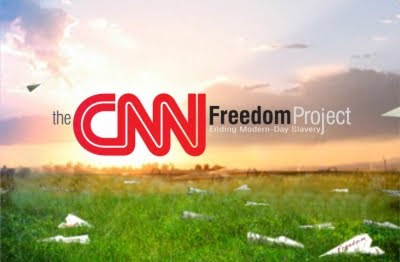 A CNN Freedom Project investigation by Fred Pleitgen has been honored at the Investigative Reporters and Editors (IRE) awards. "Death In The Desert" - a 30 minute special first broadcast late last year on CNN International - revealed the horrifying story of African refugees who are enslaved or tortured, while trying to flee to Israel through the treacherous Sinai Peninsula in Egypt. The team managed to persuade the hostile, clannish Bedouin tribesmen of the region to talk about their organized kidnapping for ransom and trafficking in African immigrants trying to cross from Egypt into Israel. The team also procured photographic evidence, reviewed by coroners, that suggested some immigrants had their organs harvested before being buried in the desert. The final scene of nameless immigrants buried in unmarked graves almost within sight of their final destination in Israel provided an emotional finish to a dramatic, difficult and important story." The CNN team who worked on the special include: Frederik Pleitgen, Mohamed Fahmy, Sheri England, Tim Lister, Ian Lee, Simon Payne and Earl Nurse. CNN today announced the appointment of Greg Asman to its digital team based in Atlanta. Asman has been hired as Vice President of Research and Analytics. Details from CNN below. CNN Press Release: CNN’s SVP of Research Robin Garfield announced that Greg Asman has joined CNN as the new VP of Research and Analytics for CNN Digital based in Atlanta. In this role, Asman will provide research strategy, analysis services and methodological oversight for CNN’s Digital Network, including CNN.com, CNNI.com, HLNtv.com and CNN’s mobile and video products. He will also serve as a key advisor to CNN’s digital leadership with his in-depth understanding of digital analytics and the overall industry factors that may impact the business. Asman comes to CNN from Moxie, part of Zenith Optimedia and a Publicis Groupe agency, where he was the VP of Analytics responsible for the entire analytics offering of the agency. A 20-year veteran of the online advertising and consulting industries, Asman has worked at companies such asAspen, Deloitte and Scient/iXL. A graduate of The University of Georgia's Terry College of Business and an MBA graduate of Emory University’s Goizueta Business School, Asman enjoys woodworking, BBQ’ing, skiing and scuba. - CNN Radio produces final newscasts for local radio stations. - TCP and CNN Ad Sales clinch Gold at ITB Berlin Golden Gate awards. - CNN must face lawsuit from deaf group. - Piers Morgan Vs. Touré: How the CNN host blew it. - How CNN’s reporting on modern-day slavery fits into its efforts to strengthen international coverage. - Veteran CNN Producer named KTUU news director. - Banned! Piers Morgan forbids Madonna from both his US and UK shows as he welcomes her to Twitter. - “Today’s Other America” to be the focus of upcoming CNN Dialogues event.